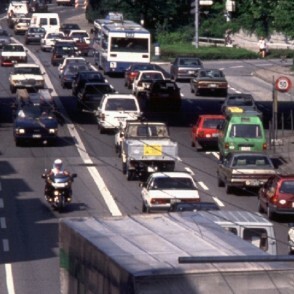 The Handbook Emission Factors for Road Transport (HBEFA) provides emission factors for all current vehicle categories (PC, LDV, HGV, urban buses, coaches and motor cycles), each divided into different categories, for a wide variety of traffic situations. Emission factors for all regulated and the most important non-regulated pollutants as well as fuel consumption and CO2 are included. Version HBEFA 3.3 (April 2017) is now available and can be ordered online. Users of Version 3.2 or 3.1 can download Version 3.3 directly (free of charge). Publications of NOx emission measurements of diesel passenger cars in USA and Europe lead to questions regarding the reliability of the respective emission factors for light duty vehicles in HBEFA. The following document published by the ERMES group contains information about this issue.